NO CONTACT with any Journalists about anything! 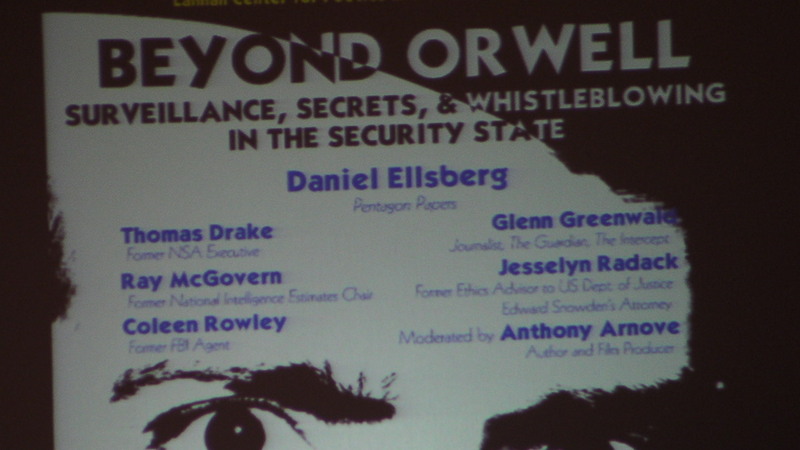 The country’s top Whistleblowers gathered at Geogetown University last night with a keynote talk by Daniel Ellsberg and a thoughtful opening address via internet from Glenn Greenwald. 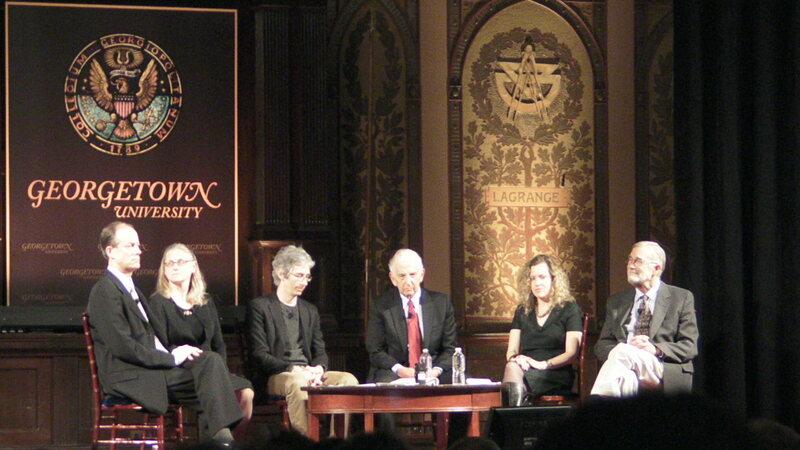 The conference was titled appropriately “Beyond Orwell”. What they had to say was extremely important all the way from the growing threat to basic personal freedoms, to how the Constitution has been blatantly and repeatedly violated, to the greatest challenges of all – Global Warming and Nuclear Weapons. Former top CIA official and one-time Presidential briefer, Ray McGovern, also let it be known he himself has reached the conclusion that the most senior CIA, Pentagon and Secret Service officials in 1963 were in on the killing of President Kennedy! Meanwhile the Obama Administration has taken unprecedented steps to bring even greater fear to any and all who might be tempted to leak about anything for any reason including their oath to protect the Constitution from all enemies foreign and domestic. Beyond what the government has done to Snowden, Manning, Keriakou, Assange, et. al,, which would surely cause anyone thinking of becoming a whistleblower to hesitate and relent…now there is reason to fear even talking to journalists about anything! As of 20 March employees of U.S. intelligence agencies are now barred from discussing with any journalist, without government advance approval, any intelligence-related matter – even if it isn’t classified. The new harsh Directive was issued by Director of National Security James Clapper, the same man who shamelessly lied to Congress just weeks before Snowden exposed what the USG is really doing. Any intelligence agency employees who violate the new policy could suffer career-ending loss of security clearance or out-right termination, just based on suspicion. And those who disclose classified information, willfully or inadventently, could face criminal prosecution. Enforcement will be by more poligraphing, encouraging employees to monitor and snoop on each other, as well as more wiretapping and internal secret investigations.